We finally have a rose in our garden. 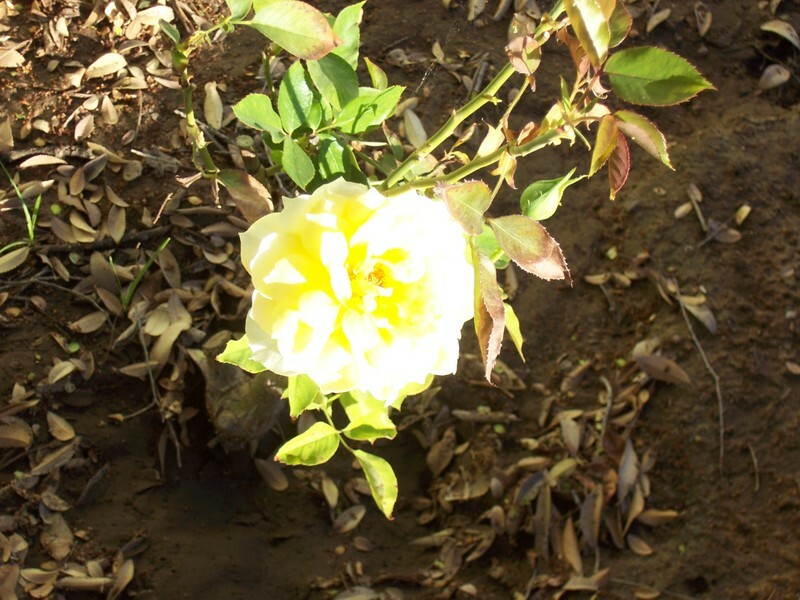 In the late spring, we planted about 12 rose bushes. 9 survived the scorching summer. 7 actually have greenish-brown leaves on them. 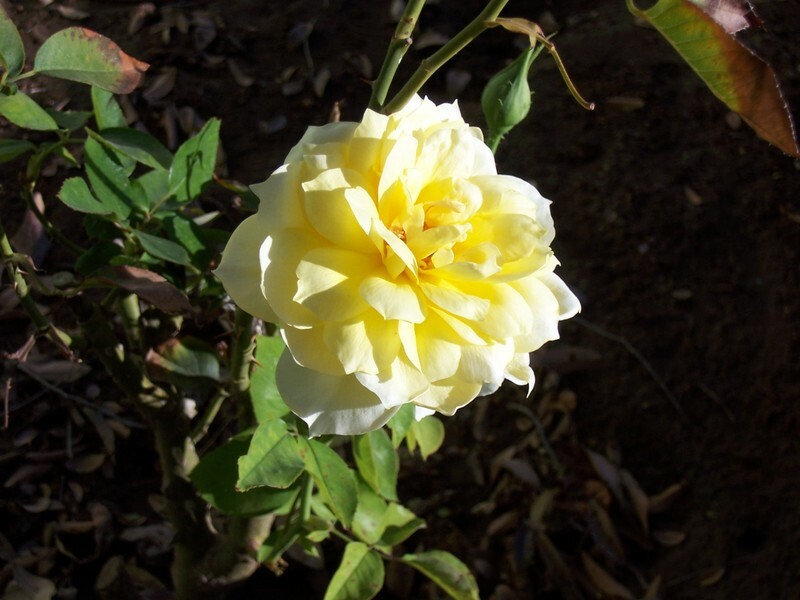 1 has a timid-looking rose blooming on it. I think that's another rose about to bloom right next to this one - do you see the green bulb?